I am going to start a series of posts covering Brian Johnson’s The Role Ethics of Epictetus: Stoicism in Ordinary Life, since I found the book both to provide an excuse to go back to Epictetus — always a good thing, and to present a rather under-appreciated aspect of his original contributions to Stoicism. Johnson’s book is substantive enough that I’m planning to devote a total of six essays to it, scattered over the next month or so. The Role Ethics of Epictetus is the result of Johnson’s PhD dissertation at the University of Chicago. He is now at Fordham University in New York, where he is an assistant professor of philosophy. Despite the fact that the book is, therefore, a scholarly treatment of the subject matter, it is surprisingly approachable also by people with no specific background in ancient philosophy or Stoicism. I highly recommended it. Let me then start with a brief commentary on chapter one, on the role of a human being. The background to the project is that Johnson focuses on a rather distinctive aspect of Epictetus’ philosophy, continuous with, and yet innovative with respect to previous Stoic philosophy: the idea that we play a number of roles in life, that each role carries its own ethical implications, and that a major challenge is posed by how we navigate multiple roles when they are in conflict. By the time of Epictetus, the idea of ethical roles was not new in Stoicism, having being discussed by Cicero in the context of Posidonius’ philosophy. And indeed in a later post of this series I will follow Johnson in comparing and contrasting Epictetus’ and Posidonius’ (via Cicero) treatments of the matter. Our first stop, however, is what Epictetus considered to be the most fundamental and overarching of our roles: that of a human being. This, as we shall see in due time, sounds a bit more fatalistic than it is actually meant to be, as Epictetus acknowledges elsewhere that some roles are “natural” (given) and others are chosen (by us). Moreover, although the straightforward interpretation here is that “the playwright” is God — and indeed, that is clearly what Epictetus means — we should resist the temptation to read the passage in a Christian key, remembering the standard Stoic equation of God with Nature or the Logos, meaning that the universal web of cause-effect “selects” our role, and we play it. Johnson argues that the fundamental question of our existence, who am I?, for Epictetus is equivalent to inquire into which roles we play in life. These roles, in turn, are of two kinds: one common to all, that of a human being; and a number of others (father, brother, husband, wife, neighbor, citizen) that are specific to certain individuals and not necessarily shared by all. 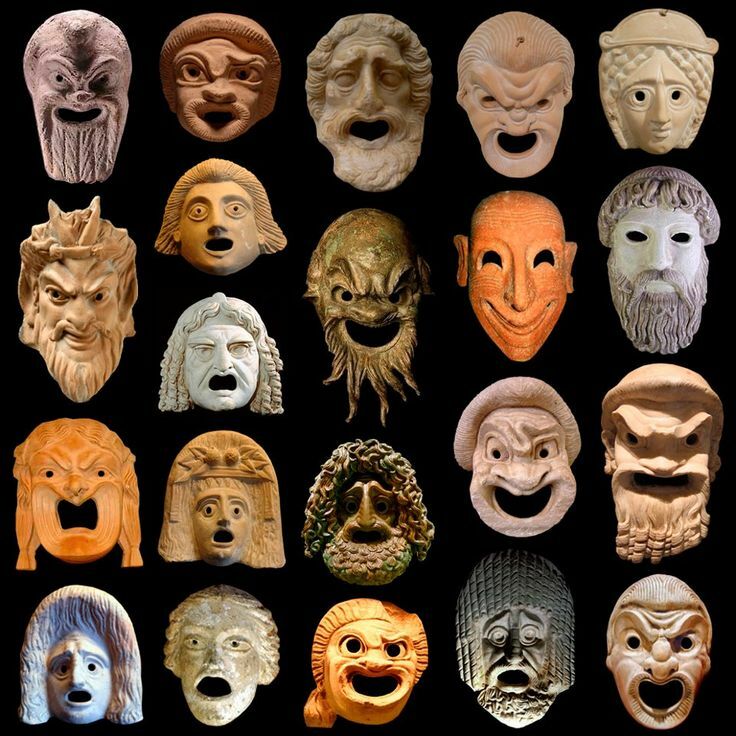 Interestingly, observes Johnson, the term that Epictetus uses for role is prosôpon, which is understood as “mask” within the context of Greek drama. Epictetus, then, translates the idea of an actor’s multiple roles on the stage to the ethical concept of roles in everyday life. Identifying our roles is crucial, because a correct identification tells us what is actually good for us to do or to avoid. But Epictetus, prompted by a student’s question, refuses to tell him which are his roles, responding that “you are the one who knows yourself” (Discourses I.2.11), a clear echo of the Delphi oracle injunction adopted by Socrates as a guiding principle in his life: know thyself. Notice the distinction between common and specific standards, and the explicit precedence Epictetus gives to acting as a human being. In what sense is the role of a human being more fundamental then all the other ones? Epictetus is pretty explicit about this: “the good is to be preferred above every form of relationship. My father is nothing to me, only the good [is something to me]” (III.3.5) This, once more, should not be interpreted literally, as “I don’t give a crap about my father,” which is clear from the several other passages where Epictetus directly exhorts us to care about our father, brother, or other relation. It means, rather, that care for your father (or any other relation) should be treated in the same way as the pursuit of wealth and other preferred indifferents: it is natural and good, but only insofar as it is done virtuously. That excludes both the accumulation of wealth by unethical means, and even the protection of relatives or other relations when it goes contrary to justice and the social good. Johnson further clarifies: “the grounds for friendly feelings arise directly from the virtues. ‘For where else is there friendship than where there is fidelity, where there is modesty, where there is a gift of goodness and of nothing else besides?’ (II.22.30)” Moreover, Epictetus says that it is precisely the misguided pursuit of external goods, say, of an inheritance, that gets in the way of our proper social relations, for instance among brothers fighting over an inheritance. Epictetus here is not being naive: he knows that human beings often do bite and kick, throw people into prison, and behead them. This isn’t a description of human behavior, but a prescription of what humanity can do when it is at its best, when we “follow nature,” not in the descriptive, but the prescriptive sense, attempting to do the best that our nature allows us to do. Do all of that, and you will have fulfilled the most fundamental of the roles you play in your life, that of a human being. This entry was posted in Epictetus and tagged The Role Ethics of Epictetus on June 13, 2017 by Massimo. Picked this book up a few weeks ago. Definitely will push it to the top of the stack to read along with your posts, Massimo. Cheers! Hi Massimo: When you refer to a reference IV.4.23–26 for example: Which source are you referring to for the line numbers? Sorry, I followed Johnson: unless otherwise specified, he’s talking about the Discourses. When he refers the Enchiridion that’s explicitly noted.